Chaplain Paul Berghaus chats with friends while visiting Synod 2012. The URCNA has one chaplain, Andrew Spriensma, currently serving in Germany. 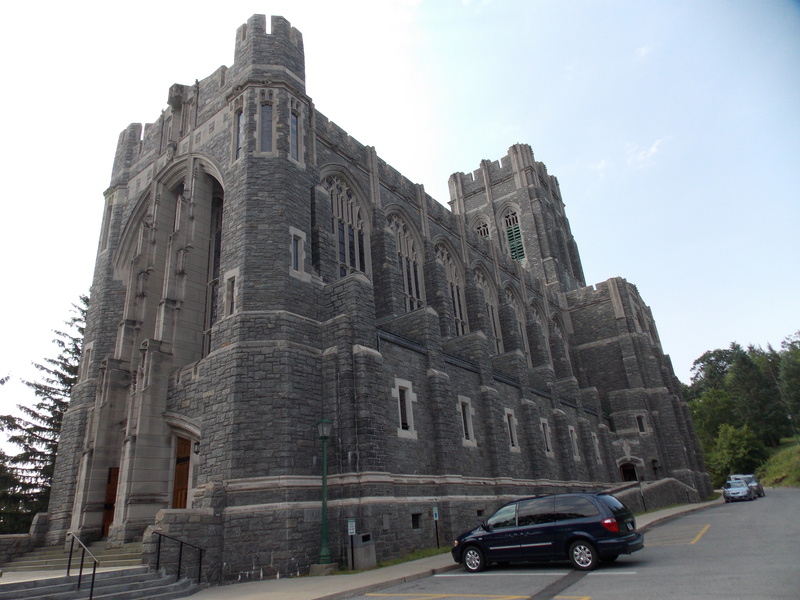 But another chaplain who has close ties to the URCNA has been present on campus during Synod Nyack 2012. 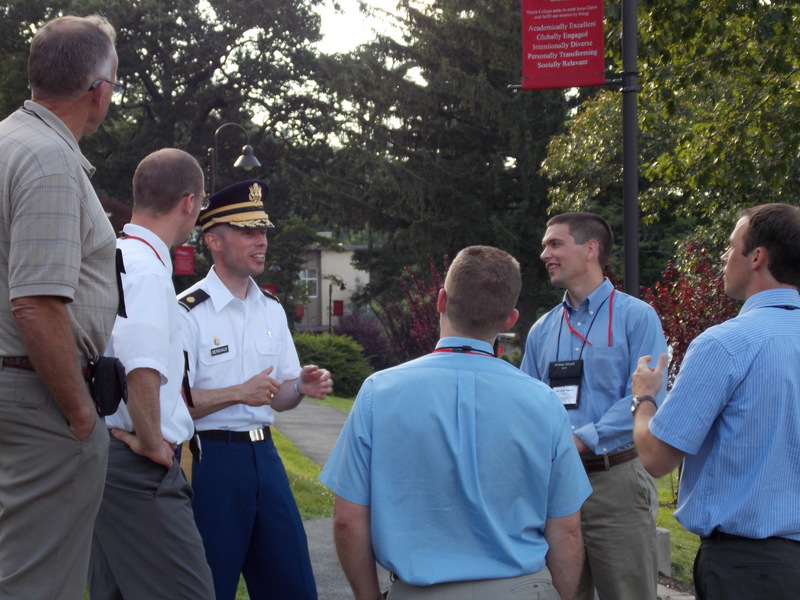 OPC Chaplain Paul Berghaus, currently stationed at the US Military Academy at West Point, visited the Nyack campus on Wednesday evening, after leading a tour of delegate wives and other interested persons on a tour of West Point during the day. On Thursday, Synod approved a recommendation to appoint one consistory as the URCNA liaison to the Presbyterian and Reformed Joint Commission on Chaplains and Military Personnel (PRJC). Synod further approved that Faith URC in Beecher, IL, the consistory that oversees Chaplain Spriensma, should function as that liaison. My husband and I enjoyed a personal tour with Paul and his lovely family on Monday morning.I’m having a lot of trouble with my blog, but I’ll try to post a few pictures. I tried to post some other pictures here, but apparently that’s not working.